Serving the Mid-Atlantic and Northeast United States with a complete line of fertilizers and materials. 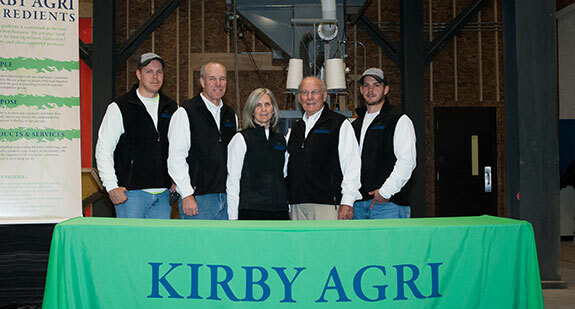 Since the Spring of 1969, the Kirby family has served the Mid-Atlantic and Northeast United States with a complete line of fertilizers and materials. From that time to the present, Kirby Agri has evolved in order to improve our service to the agricultural, feed, turf and ice melt customers. Carroll Kirby Jr., oversaw the building of a fertilizer facility in Lancaster, PA by the Royster Company. Mr. Kirby managed that plant and in 1979 was given the opportunity to invest in its operation. The business became known as R/K Agri Service. At that time, Mr. Kirby’s son Rick, a Virginia Tech Agronomy graduate, joined his father as part of the management team. During the 1980’s the company grew to seven locations, both wholesale and retail, in Maryland, Pennsylvania, and New York. It was also during this time that the ice melt business, which continues to grow today, was added to serve that market. By the end of the 80’s, a major emphasis was placed on sales and marketing to wholesalers, servicing blenders and retailers of plant nutrition products. Twelve years later, after partnering with Norsk Hydro, the business became known as Hydro Kirby Agri Services. Under this partnership Margro Feed Ingredients and its assets were acquired in 1999. This allowed the company to further diversify into the feed ingredients industry, again servicing feed mills throughout Pennsylvania, New Jersey, Maryland, New York, and beyond. 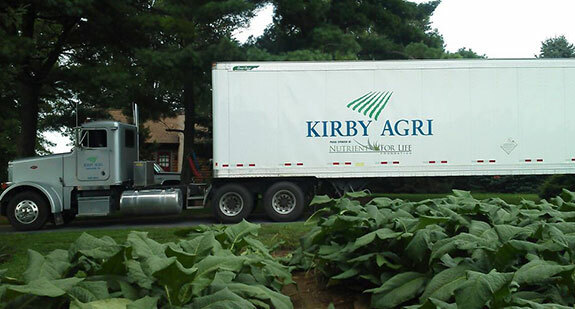 In 2003, the Kirby’s acquired the Norsk Hydro portion of the business to become Kirby Agri. As Kirby Agri, an 85,000 square foot warehousing building was erected at the Lancaster Running Pump Road location and in 2012 a new feed ingredient premix facility was constructed there also. This state of the art complex allows production of both bagged and bulk, blended and straight materials to feed mills in the Mid-Atlantic and Northeast United States. Our marketing team focuses on supplying high quality and accurately blended vitamins, minerals, and pre-mixes to the feed industry. Presently a third generation of the Kirby family works alongside Carroll and Rick to continue the business’ day to day operations and to ensure that customers receive quality, value, and superior service in all their transactions. We want to thank you for your interest in our business and look forward to serving you soon!